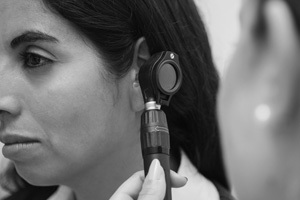 If you are suffering from any ear, neck, or throat issues, you should search ENT Midtown, Manhattan, otolaryngology NYC, or the best ENT doctor NYC to find a professional NYC otolaryngology group that can help diagnose and treat any problems you may be experiencing. An ENT specialist, or an otolaryngologist, is a doctor who specializes in conditions that affect the ear, neck, and throat. ENT specialists are trained and experienced in a number of different treatments of ear and nose complications. The most common conditions experienced by patients are voice and swallowing disorders, nasal conditions, oral cavity conditions, sleep and snoring conditions, neck masses, and hearing imbalance disorders. If you are experiencing any voice and swallowing issues, you may want to make an appointment with an ENT doctor for a proper diagnosis. 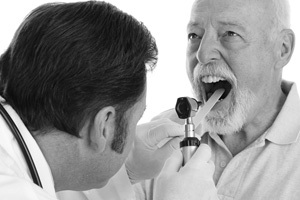 An ENT specialist can help treat hoarseness, dysphasia, and reflux laryngitis. Hoarseness is any change in the sound, volume, or pitch of your voice. Dysphasia is any difficulty swallowing, and reflux laryngitis occurs when the larynx is inflamed. You can also find nasal help from a practicing ENT specialist. An otolaryngologist can help treat chronic sinusitis, nasal obstruction, anosmia, allergies and asthma. Chronic sinusitis is a long-lasting inflammation that affects the sinuses, and often recurs. Nasal obstruction is any blockage in the nasal passages that obstructs breathing. Anosmia is the loss of your sense of smell, and allergies are the result of an irritated immune response system. If you are suffering from oral cavity conditions, such as leukoplakia, squamous cell carcinoma, and/or tonsil hypertrophy, you should see a doctor immediately. Leukoplakia is a condition that results in white patches or lesions that appear across the tongue and oral cavity. Squamous cell carcinoma is a skin cancer associated with the mouth, lips, or skin. Tonsil hypertrophy is a throat infection that causes the inflammation of the tonsils. If you experience any sleep and snoring conditions, an ENT doctor in New York City can diagnose you and provide treatment. Obstructive sleep apnea is the obstruction of the nasal passages while sleeping. Snoring is the ever-so-common issue of narrowed passageways producing wheezing-like sounds. If you notice any neck masses on your skin, an ENT specialist can help diagnose and then treat your issues. Neck masses can be a lymph node enlargement, sialoadenitis, or thyroid nodules. An enlarged lymph node is a localized or generalized swelling of the neck’s lymph nodes. Hearing imbalance disorders that are treated by ENT specialists include vertigo, hearing loss, and tympanic membrane perforation. Vertigo involves dizziness and a balance disorder. Tympanic membrane perforation is an ear inflammation, earache, or a ruptured ear drum. 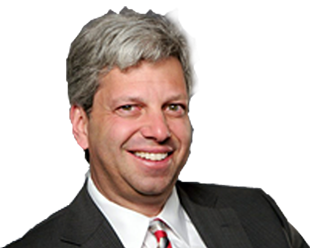 If you are suffering from any of the issues explained above, search ENT midtown Manhattan, otolaryngology NYC, or the best ENT doctor NYC, in order to find the right NYC otolaryngology group.